LIMA, Peru — Diplomats from 196 countries are closing in on the framework of a potentially historic deal that would for the first time commit every nation in the world to cutting its planet-warming fossil fuel emissions — but would still not be enough to stop the early impacts of global warming. The draft, now circulating among negotiators at a global climate summit meeting here, represents a fundamental breakthrough in the impasse that has plagued the United Nations for two decades as it has tried to forge a new treaty to counter global warming. But the key to the political success of the draft — and its main shortcoming, negotiators concede — is that it does not bind nations to a single, global benchmark for emissions reductions. Instead, the draft puts forward lower, more achievable, policy goals. Under the terms of the draft, every country will publicly commit to enacting its own plans to reduce emissions — with governments choosing their own targets, guided by their domestic politics, rather than by the amounts that scientists say are necessary. The idea is to reach a global deal to be signed by world leaders in Paris next year, incorporating 196 separate emissions pledges. “It’s a breakthrough, because it gives meaning to the idea that every country will make cuts,” said Yvo de Boer, the former executive secretary of the United Nations Convention on Climate Change. “But the great hopes for the process are also gone,” he added. “Many people are resigned,” he said, to the likelihood that even a historic new deal would not reduce greenhouse gas levels enough to keep the planet’s atmospheric temperature from rising 3.6 degrees Fahrenheit. That is the point at which, scientists say, it will become impossible to avoid the dangerous and costly early effects of climate change — such as melting glaciers, rising sea levels, extreme drought, food shortages and more violent storms. The Lima draft represents the input of all the negotiating countries, though there are still several major hurdles to work out. But even then, experts say, at best the new deal might be enough only to curb global warming by about half as much as scientists say is necessary. Until recently, the United States and China, the world’s two largest greenhouse gas polluters, have been at the center of the impasse over a climate deal. Until this year, the United States had never arrived at the United Nations’ annual climate negotiations with a domestic policy to cut its own carbon emissions. Instead, it merely demanded that other nations cut their use of coal and gasoline, while promising that it would do so in the future. China, meanwhile, was the lead voice among nations demanding that developing economies should not be required to commit to any cuts. 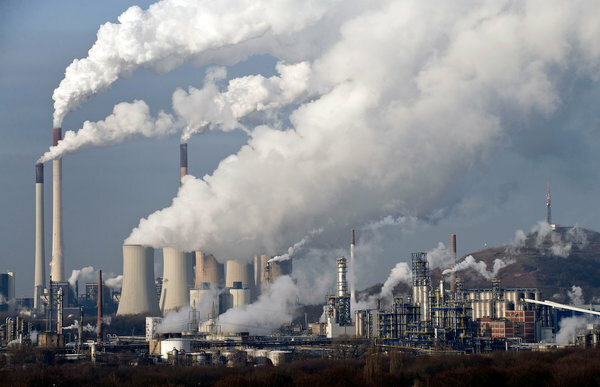 But in November, President Obama and President Xi Jinping of China announced plans to reduce emissions, helping inject new life into the global climate talks. Negotiators here call the joint announcement between China and the United States the catalyst for the new draft, which, if approved at the climate summit meeting this week, would set the stage for a final deal to be signed by world leaders next year in Paris. In the United Nations’ first effort to enact a climate change treaty, the 1997 Kyoto Protocol, the legally binding language of the agreement prescribed that the world’s largest economies make ambitious, specific emissions cuts — but it exempted developing nations. The United States Senate refused to ratify the treaty, effectively leaving it a failure. The Lima draft does not include Kyoto-style, top-down mandates that countries cut emissions by specific levels. Instead, it includes provisions requiring that all nations, rich and poor, commit to policies to mitigate their emissions. Countries that sign on to the deal will commit to announcing, by March, detailed, hard-numbers plans laying out how they will cut emissions after 2020. The draft that emerges this week “will look like a game of Mad Libs,” said one negotiator who was not authorized to speak publicly. Over the coming months, as countries put forth their emissions reduction pledges, the details of the final deal will be filled in. It is expected that many countries will miss that March deadline. Officials from India and other countries have said that they are unlikely to present a plan before June. In order to ensure that all countries are included in the deal, late announcers will get a pass. The point, United Nations officials say, is to ensure that the information exists to finalize a Paris deal by December 2015. Negotiators concede that the “each according to their abilities” approach is less than perfect — but that it represents what is achievable. And there are still many hurdles ahead. While many major developing economies are now expected to follow China’s lead in preparing emissions plans, some countries remain wild cards. This year, the government of Australia repealed a landmark climate change law that taxed carbon pollution. Since then, its emissions have soared. Money, as always, is a sticking point. The increasing likelihood that the planet’s atmosphere will warm past the 3.6 degree threshold, with or without a deal in Paris, is driving demands by vulnerable nations — particularly island states and African countries — that the industrialized world open up its wallet to pay for the damage incurred by its fossil fuel consumption. Under the terms of a 2009 climate change accord reached in Copenhagen, rich countries have agreed to mobilize $100 billion annually by 2020 to help poor countries adapt to the ravages of climate change. But a report this month by the United Nations Environmental Program estimates that the cost to poor countries of adapting to climate change could rise to as high as $300 billion annually — and vulnerable countries are stepping up their demands that more money be included in any final deal. Many vulnerable and developing countries insist that each country’s national pledge include not just a plan to cut emissions, but also money for adaptation. “The financing question will be one of the deepest divides,” said Jennifer Morgan, an expert in climate change negotiations with the World Resources Institute, a research organization. Another element to be hashed out by negotiators will be devising an international number-crunching system to monitor, verify and compare countries’ pledged emissions cuts. China has always balked at any outside monitoring of its major economic sectors, and is pushing back on proposals for rigorous outside scrutiny. The United States has urged that a final deal not take the form of a legally binding treaty requiring Senate ratification, hoping to avoid a repeat of the 1997 Kyoto Protocol experience. But many countries continue to press for a legally binding deal. The name, they say, is meant to signify that many different economies are working together, rather than complying with a single, top-down mandate. Edward Wong contributed reporting from Beijing.